Check out Tobi's Reign High Mock Neck Top Pretty young thing in the Reign High Mock Neck Top. 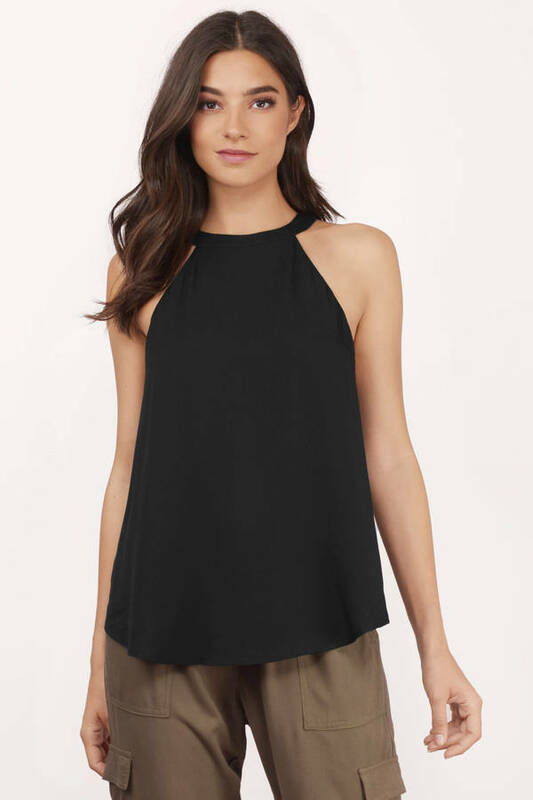 A loose tank top fit for a queen with its high neck that sits pretty along a two loop button closure, keyhole back and scooped hem. All the dressy yet minimalist feels to take you from day at the office to drinks at night. Martini, please! Pretty young thing in the Reign High Mock Neck Top. 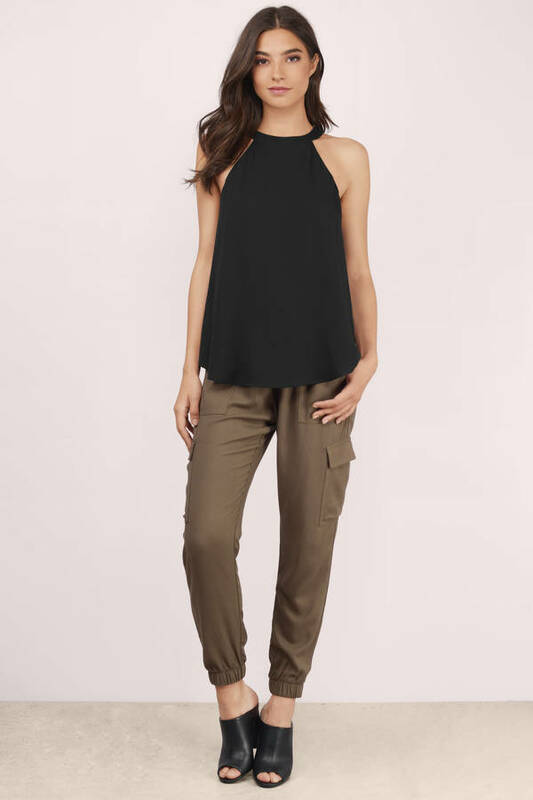 A loose tank top fit for a queen with its high neck that sits pretty along a two loop button closure, keyhole back and scooped hem. All the dressy yet minimalist feels to take you from day at the office to drinks at night. Martini, please!